This year for the third day of G33KMAS Amazon brought to me.. Lots of great deals on tabletop games. 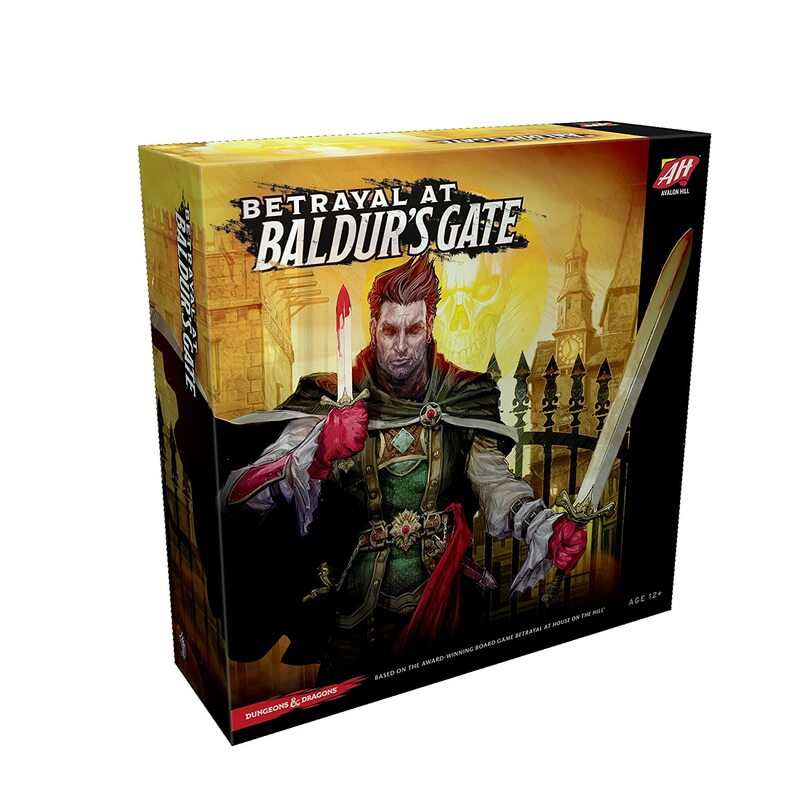 Today Amazon has over 100 tabletop game on sale! Below are just a few. For the Zombies!!! enthusiast who wants it all this is the completionism’s dream come true! The Zombies!!! 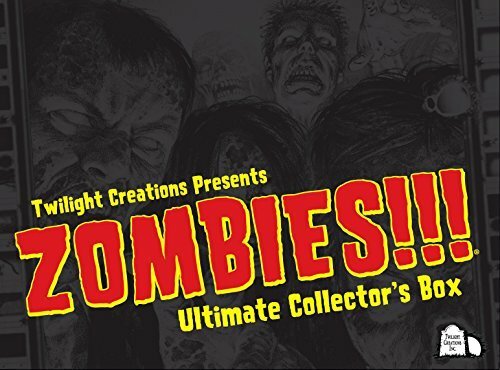 Collectors Box will contain the Zombies!!! base game, all 16 expansions, and Zombies!!! Dead time Stories. Plus you’ll receive the new plastic hearts and bullets to help you fight and stay alive against Zombies!!. And to add to your Zombies!!! gaming experience, you’ll also receive a copy of the Official Zombies!!! Board Game Soundtrack from Midnight Syndicate, featuring pulse pounding music and sounds from the zombie apocalypse designed to take your Zombies!!! game to the next level! Contains: Zombies 3rd Edition, Dead time Stores, 2: Zombie Corps (e), 3: Mall Walkers, 3.5: Not Dead Yet, 4: The End, 5: School’s Out Forever, 6: Six Feet Under, 6.66: Fill in the ___!! !, 7: Send in the Clowns, 8: Jailbreak, 9: Ashes to Ashes, X: Feeding the Addiction, 11: Death Inc. , 12: Zombie Zoo, 13: DECON Z, 14: Space Bites, 15: Another One Bites the Dust, Bag O’ Bullets, Bag O’ Hearts, Official Soundtrack from Midnight Syndicate plus hundreds of Zombies!!!. 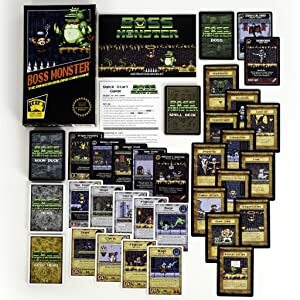 Inspired by a love of classic video games, Boss Monster: The Dungeon Building Card Game pits 2-4 players in a competition to build the ultimate side-scrolling dungeon. Players compete to lure and destroy hapless adventurers, racing to outbid one another to see who can build the most enticing, treasure-filled dungeon. The goal of Boss Monster is to be the first Boss to amass ten Souls, which are gained when a Hero is lured and defeated – but a player can lose if his Boss takes five Wounds from Heroes who survive his dungeon. Playing Boss Monster requires you to juggle two competing priorities: the need to lure Heroes at a faster rate than your opponents, and the need to kill those Heroes before they reach your Boss. Players can build one room per turn, each with its own damage and treasure value. More attractive rooms tend to deal less damage, so a Boss who is too greedy can become inundated with deadly Heroes. Players interact with each other by building rooms and playing Spells. Because different Heroes seek different treasure types, and rooms are built simultaneously (played face down, then revealed), this means that every “build phase” is a bidding war. Spells are instant-speed effects that can give players advantages or disrupt opponents. As a standalone card game with 150 cards, Boss Monster contains everything that 2-4 players need to play. Never Split the Party…Unless Someone is the Traitor! Few diversions in Republic City offer as much excitement as attending a pro-bending game! This is doubly true when the teams facing off in the hexagonal ring are the reigning champs, the White Falls Wolf bats, and their fierce challengers, the Future Industry Fire Ferrets! 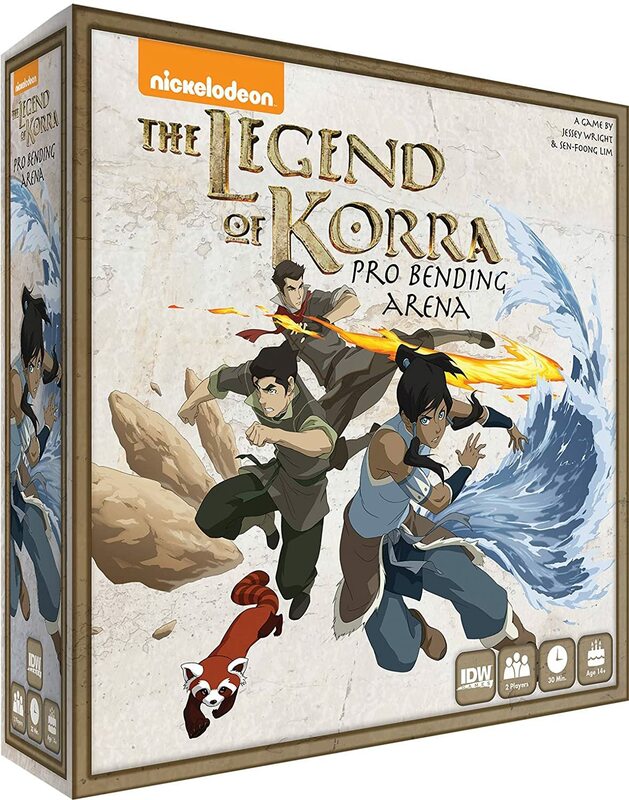 In The Legend of Kora: Pro-Bending Arena, 2 players face off as either the White Falls Wolf bats or the Future Industry Fire Ferrets in an attempt to defeat their opponent and take of the title of Pro-Bending Champions. Blending card drafting, resource placement, and area control, players in The Legend of Kora: Pro-Bending Arena draft unique decks for each bender on their team, equip special team-ability trick cards, and strategically place their team members and the elements they bend on the board. Push the farthest forward, or in a real show of strength, knock out the other team entirely, to claim the pro-bending championship!. 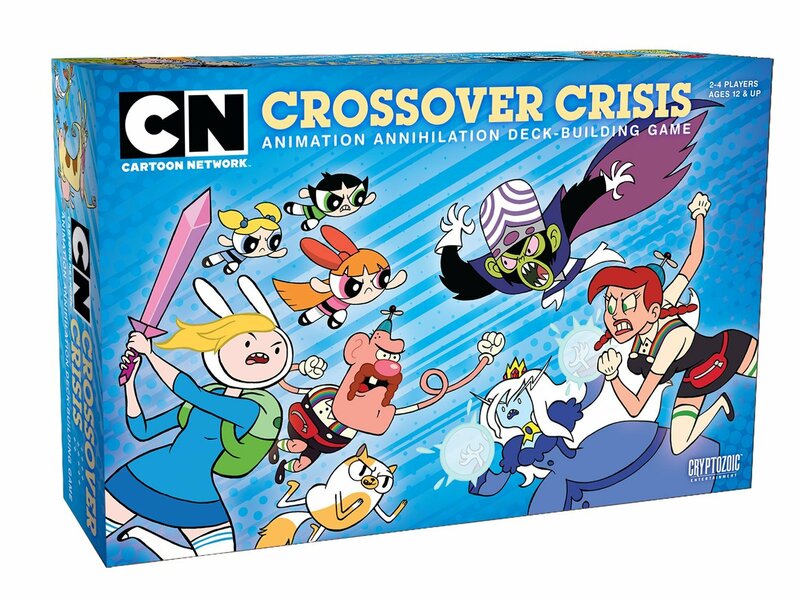 Following the success of the original cartoon network Crossover crisis deck building game, more of cartoon network’s classic characters, past and present, are joining the fray! this standalone game is not only a great introduction to deck building, but also a fantastic expansion for the original set. The new “wonder” keyword brings a childlike sense of, well, wonder to the game as the ability allows players to play a card off the top of the main deck. You never know what you’ll get except for a fun time and lots of surprises! the card you play goes straight to the line-up, so if you liked the effect, you can buy the card immediately. The more cards you have to choose from, the better!.